This week I ran into an interesting error with a customer. 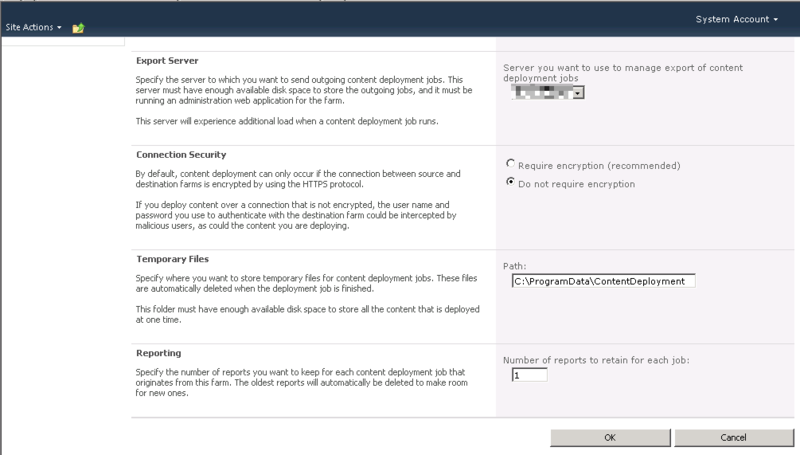 The customer has defined a SharePoint 2007 content deployment path to push content from one SharePoint 2007 farm to another SharePoint 2007 farm. They can complete 1 full deploy and 1 incremental deploy, but then all incremental deploys error with the following message: “Specified argument was out of the range of valid values”. In order to get more insight into the error I used ULSViewer to inspect the ULS logs on the server (ULSViewer is not required to read the ULS logs, it just makes it easier to sort through them). Looking at the selected log message there was an error when attempting to clean up the content deployment job reports list. The solution to this issue is fairly simple. On the customer farm they had set the number of reports to keep at 1. 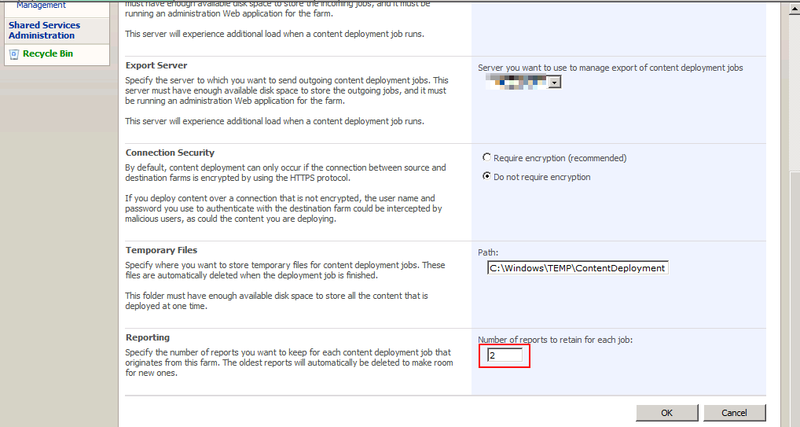 The default value is 20 but they had changed to 1 to conserve space which was limited on this server. Apparently this caused an issue in which the timer job would error when attempting to clean up the reports list. We changed the value to 2 and tried to re-run the job. The job completed successfully for all that we tried. Problem solved. 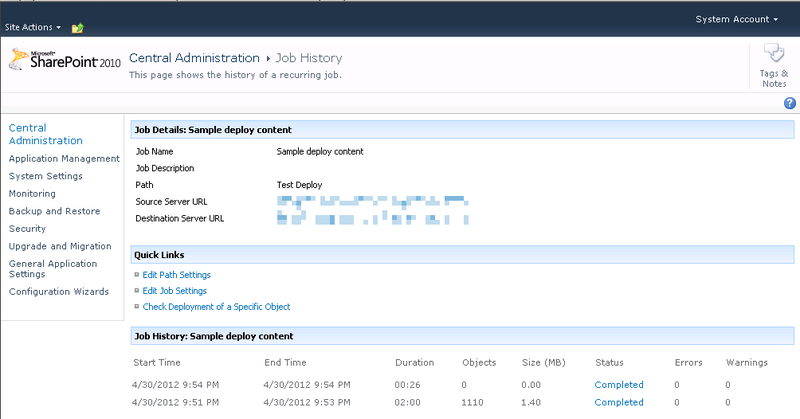 After testing this out in SharePoint 2007 I decided to try this in SharePoint 2010. Thankfully it appears this has been corrected in 2010. I set the number of reports to 1 and was able to execute the job multiple times. If you are using content deployment jobs in SharePoint 2007 be sure that you set the number of reports to keep to a number greater than 1. Apparently there is a issue with a value of 1 where the timer job cannot clean up the reports list due to an out of range exception. This does not appear to be an issue in SharePoint 2010.